Water will be one of the most precious resources in a TEOTWAWKI situation. But most of us don’t have nearly enough water to survive on for a year, if needed. While some might think they can depend on water from other resources, such as rain water or lakes and rivers, the reality is that it could be contaminated not to mention extreme competition. And of the North American population, the percentage of people who live within walking distance of a natural water source is very small. People can buy bottles, jugs and barrels of water to store, but you can also store water from the tap in any food safe containers. 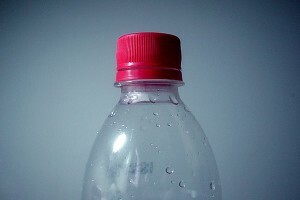 You can clean and reuse water bottles, pop bottles, any kind of container that stored food. You don’t want to use containers not meant for storing food, as it can leech dangerous chemicals into the water. When you store water from the tap, make sure you label it clearly with the date you bottled it. All bottled water should be replaced after one year with fresh water. Gathering your grub has some great ideas for how she stores water, and all the places where she stores it. Don’t forget that in an emergency situation, immediately flip up your bathtub, sink and any and all containers you have (mixing bowls, pots, even unused ziploc bags) because you never know when the water supply will be cut off or become contaminated. People can survive without food for much longer than they can survive without water, especially in a survival situation.